If your pet is experiencing an emergency, contact us immediately at (631) 923-3210. 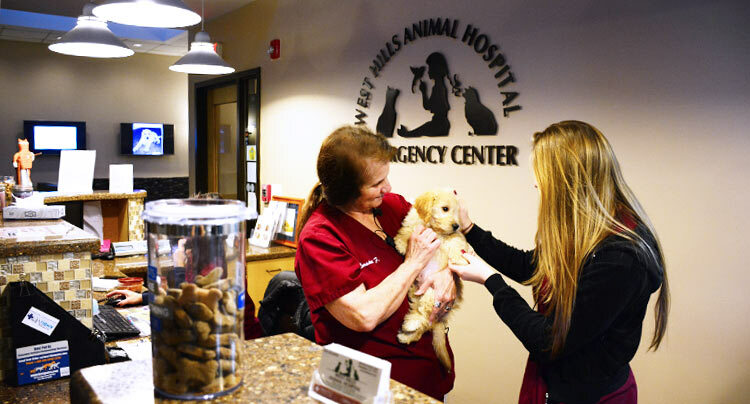 West Hills Animal Emergency & Critical Care Center provides immediate, walk in care for pet emergencies. Our 24 hour pet emergency hospital is equipped with the latest diagnostic equipment so that your pet receives immediate emergency veterinary care. Please use this form only for non-urgent questions or concerns. We will process all inquiries and welcome all suggestions to serve you better! We hope to see you soon.